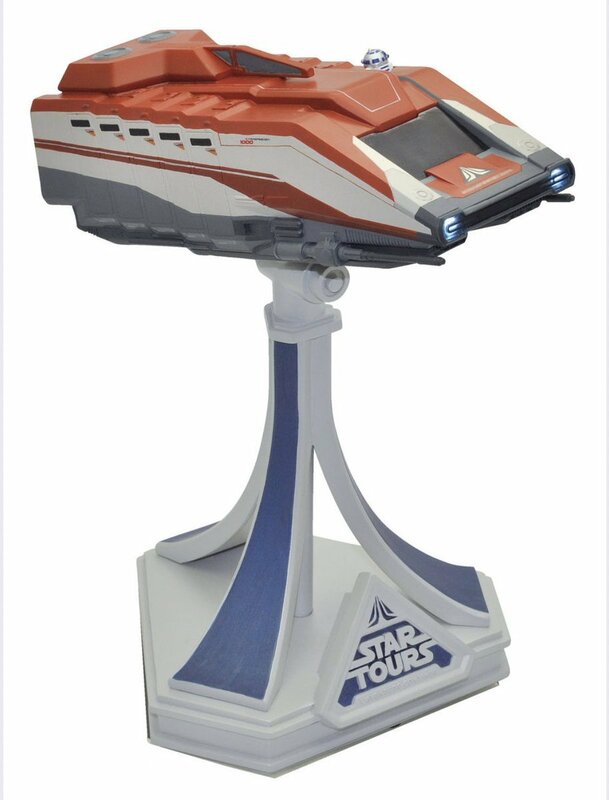 Fans of the classic Disney Parks attraction Star Tours will be excited to learn that there is a new collectible available based on the attraction’s ride vehicle. 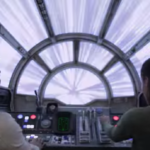 And you won’t have to make a lightspeed trip to Endor to find it. This new collectible Starspeeder 1000 is available now at Disneyland Paris. The figurine can currently be found at Star Traders and will soon make its way to other shops across the park. The resin figurine stands at 30 cm high and feature light functions. The ship can be removed from its base, which features the design of the entrance to the attraction at Disneyland Paris. 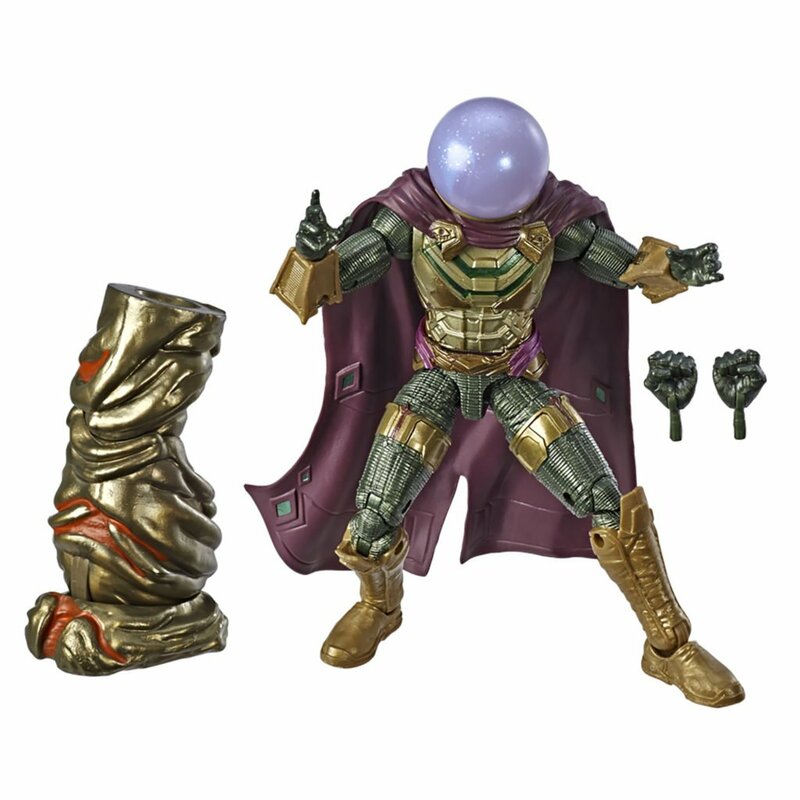 This new collectible figure is a result of a collaboration between Merchandise Collectibles and Walt Disney Imagineering, who provided the 3D plans that led to the figure’s design. The new collectible Starspeeder 1000 is priced at 149 €. Star Tours exists in four Disney Parks around the world, with the original opening in Disneyland in 1987. The Disneyland Paris edition of the attraction opened in 1992. This weekend, Disneyland Paris debuted an adorable new ad campaign highlighting the real-life magic found at the Disney Parks. 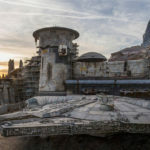 During ABC’s annual broadcast of the Disney Parks Christmas Day Parade, Disney Chairman and CEO Bob Iger revealed a new look at Star Wars Galaxy’s Edge which is coming to Disneyland in the Summer and Walt Disney World in the Fall. Starting in January, guests can take advantage of a 4-Park Magic Ticket starting at just $85 per day.